For maximum protection and security, Action Garage Doors can take care of your Atascocita garage door repair and more. Leaving the problem undone can create risks, which is why our Atascocita garage door service professionals are awaiting your call. When you want the best in garage door repair and other services, you have to turn to the best. For years, we have been providing residents all over Atascocita with the garage door service they need to have their garages in the best working order. As a garage door repair company that is committed to customer satisfaction, nobody beats Action Garage Door. Our family-owned business has been satisfying customers for 30 years and we are waiting to help you find the services you need for your garage door in Atascocita. No matter what the weather, our doors will stand up to the elements. In addition, all of our work is performed in strict accordance with local codes. Very congenial & knowledgeable service tech. Knew what he was doing. Gave us helpful tips on maintenance. They are who we will call from here on in. inspected old door the day we called. installed new door within two days. I needed both garage doors replaced. Luis came and gave me an estimate and also taught me many things about garage doors. When it came time for installation, he was very professional, courteous, and driven. 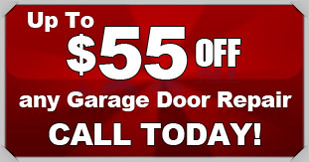 I would definitely recommend both Action Garage Doors and Luis anytime someone needs garage doors repaired or replaced. At Action Garage Door, we understand you have many needs when it comes to garage door service. For this reason, our garage door service goes way beyond simple repairs. We offer services to increase the safety of your garage door, and we also offer great Internet specials so check back often. No two home or business owners are alike, and our garage door repair company understands that no two will want the exact same garage doors and set up. At Action Garage Door, we offer a variety of garage doors for installation in Atascocita homes and offices. Some of our options include, Carriage House, Olympus, Classica, Stratford/Heritage, and Amarr garage doors. To get started with your garage door repair, installation, or replacement, contact Action Garage Door in Atascocita today and let’s talk about the options available from the garage door repair company that has been caring for customers since 1984.